A quick dram for you all this Easter Monday. 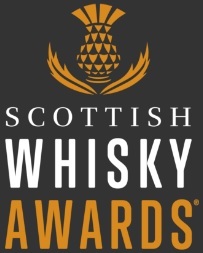 Wemyss Malts, those single cask extraordinaires from Fife, have released a blended malt with a difference. 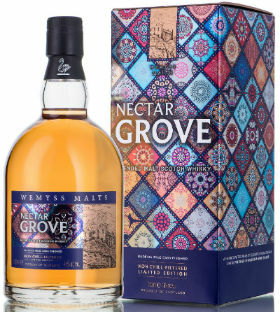 Purportedly bursting with notes reminiscent of a ripe fruit grove, the whisky is aptly called Nectar Grove and is comprised exclusively of Highland malt whiskies which have been blended together and finished in Portuguese ex-Madeira casks. The packaging is a nod to the source of these casks, and it is said to be “inspired by Portuguese ceramics and fretwork, reflecting the vibrancy and variation within the whisky.” It’s not shy anyway… but enough about the cardboard box packaging, let’s see how vibrant and varied the whisky actually is, shall we? Nose: Quite shy, ironically. But once it opens there’s burnt sultana cake, singed orange peel, apricots, Danish pastries and toasted hazelnuts. Then there’s faint molasses, red currants, some dry, dusty earthy notes and some old logs. Palate: Opens with a rich, juicy, fruitiness – blueberries, cranberries, ripe cherries, apple brandy, pear juice, plums, figs and some Jolly Rancher sweets. Underneath there’s baking spices, blackcurrant jam, toasted vanilla pods, and juicy oak. A lot more expressive than the nose. Finish: Some chocolate, along with black currant cordial, and some drying, slightly bitter oak. Overall: Initially I was quite underwhelmed, as I found myself really having to search for things on the nose. Having said that, the palate delivers a fruit-packed punch and the influence of the Madeira casks is very much present here. 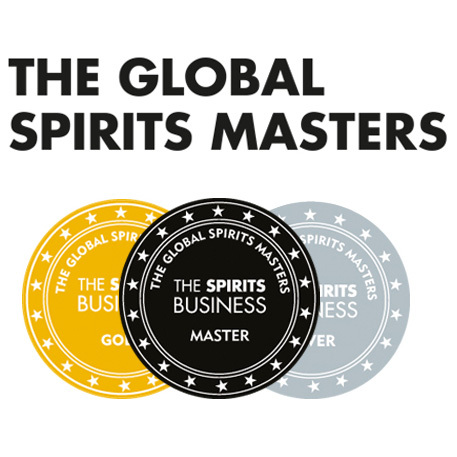 It’s a good session whisky and one you could drink a decent amount of over the course of an evening – it’s not too pricey, it’s interesting enough to keep you going back for another sip, and it delivers a lot of juicy fruit notes. Put it this way; if you crack this out at a party and you may as well throw away the cork. This entry was posted	on Monday, April 2nd, 2018 at 8:49 am	and is filed under Reviews. You can follow any responses to this entry through the RSS 2.0 feed. You can leave a response, or trackback from your own site.